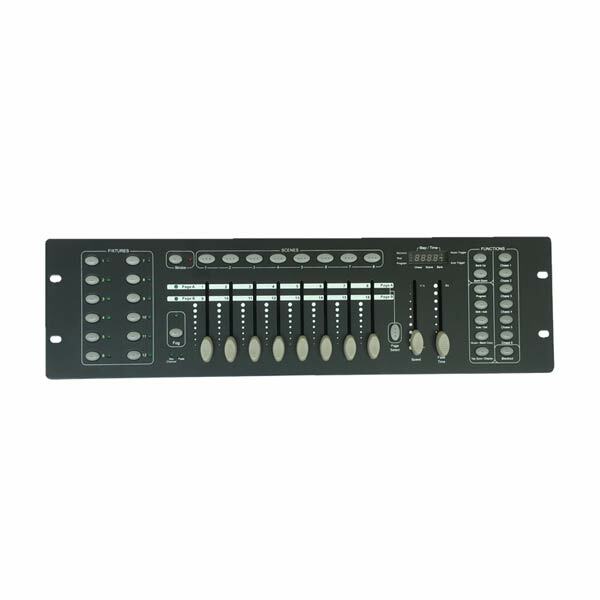 The Light Emotion DMX192 is a 192 Channel DMX controller with 240 scenes and 6 chases that can be programmed. The DMX192 is a classic style DMX controller that is incredibly simple and intuitive to use. It features 12 direct fixture buttons, allows you to program up to 240 scenes, which in turn can be incorporated into 6 chases. You can also play simple chases using any of the 30 banks of 8 scenes the controller is built around. Fade time and speed can be part of the programs, and live control is easily achievable as well.